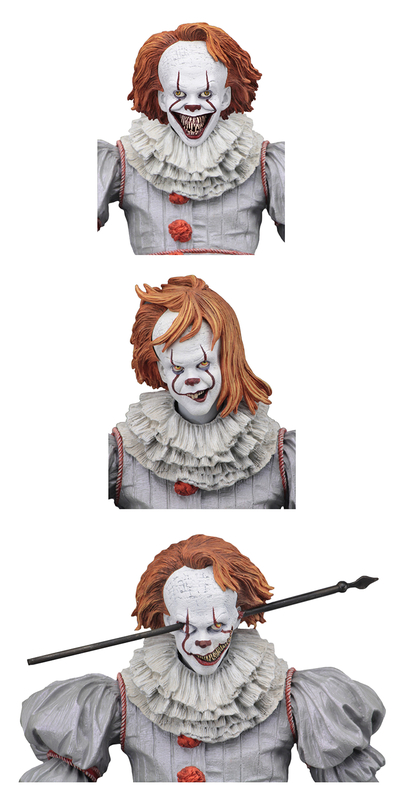 Produktinformationen "IT 2017 WELL HOUSE PENNYWISE ULTIMATE 17,5 cm ACTIONFIGUR"
From the acclaimed 2017 horror film IT, drawn from the pages of Stephen King's original novel, NECA presents Pennywise the Dancing Clown! 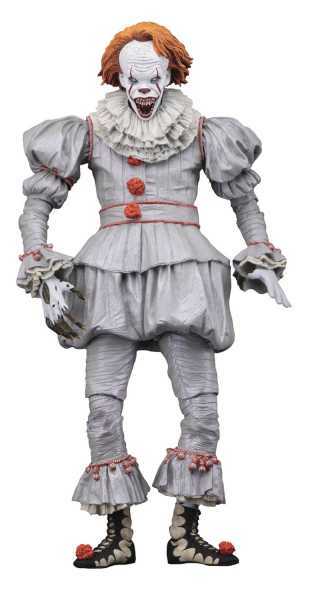 Based on Bill Skarsgård's portrayal of the nightmare-inducing clown, this 7" scale figure has been painstakingly detailed to be as accurate to Pennywise's ornate costume as possible. To recreate even more of the most terrifying scenes from the movie, this version features 4 all-new head sculpts, a fencepost that can be inserted into one of the heads, a new monster right hand, new grabbing hands, and an additional new left hand. This edition comes in collector-friendly deluxe window box packaging with opening flap. Weiterführende Links zu "IT 2017 WELL HOUSE PENNYWISE ULTIMATE 17,5 cm ACTIONFIGUR"
Kundenbewertungen für "IT 2017 WELL HOUSE PENNYWISE ULTIMATE 17,5 cm ACTIONFIGUR"